There are dozens, if not hundreds of coffee delivery hardware systems available on the market. 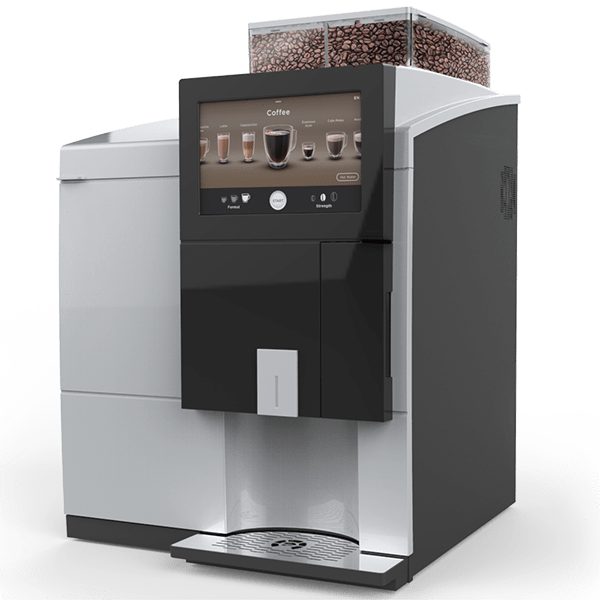 We’ve selected the top brewers in each category of coffee delivery so that you can be sure you’re getting the best coffee brewing equipment available. Redcup owns and maintains all our coffee delivery systems, and we make sure they are clean and operating at their best at all times. 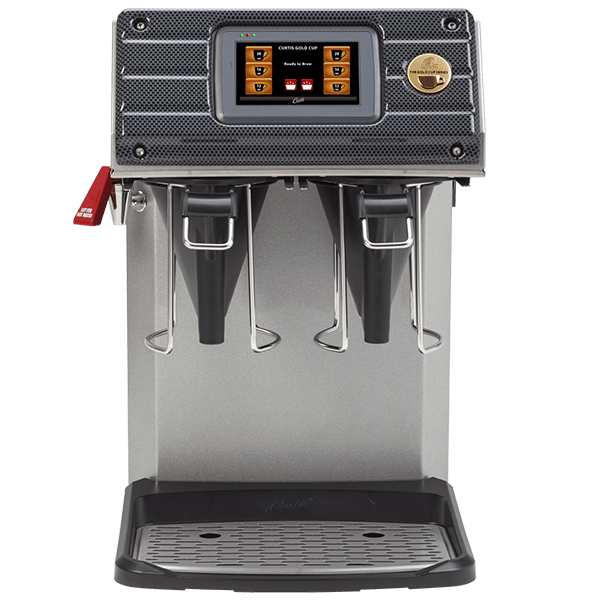 Coffee brewing equipment that is dirty, uncalibrated, or poorly maintained will change the flavor of the beverages it serves. And in the end, it’s all about great-tasting coffee, so we keep all of our machines in top operating condition. These are the machines you see most often at 7-11’s and traditional diners. They feature one or two brew heads with several keep-warm burners. 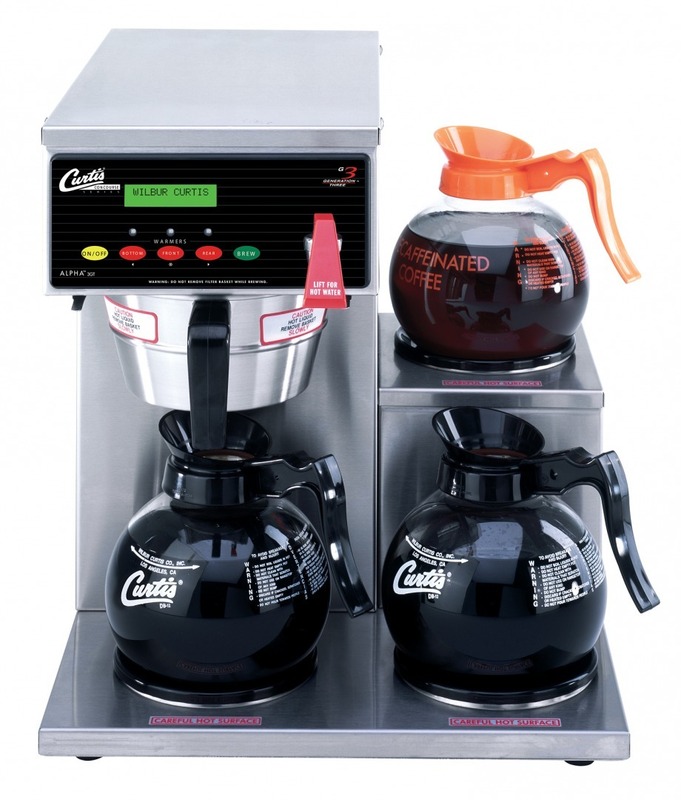 These machines come in many different sizes that can accommodate one to six glass bowl pots of coffee. This system offers coffee-by-the-pot using fresh roasted and ground coffee. The airpot brewer uses freshly roasted and ground coffee and streams it directly into an airpot, which is a two to three-liter insulated pitcher. Airpots are convenient because they can go directly from the brewer to the serving table. 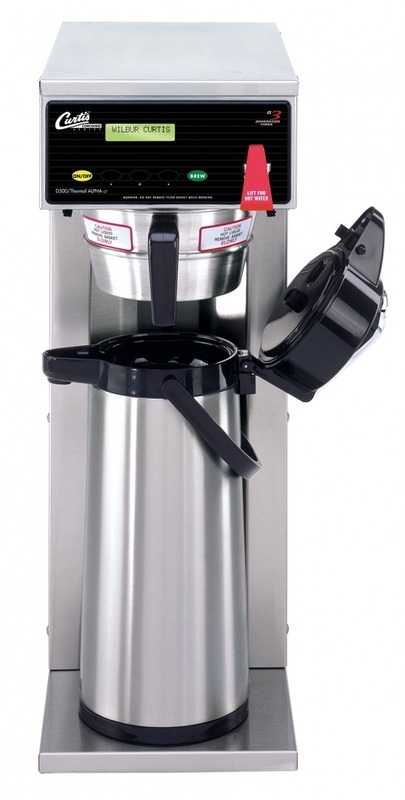 This type of brewer accesses a direct water line and is usually used to supply larger quantities of coffee. The brewers also provide instant access to hot water for tea service. Thermal brewers are a similar concept to airpot brewers in that you brew directly into the thermal server and then transport the thermal server to the serving area. However, thermal server brewers come in more variety of sizes from small one-liter to several gallon containers. For the most discerning coffee drinkers, single cup roast and ground offers the most individually customizable coffee. Each cup of coffee is brewed from freshly roasted and ground coffee. 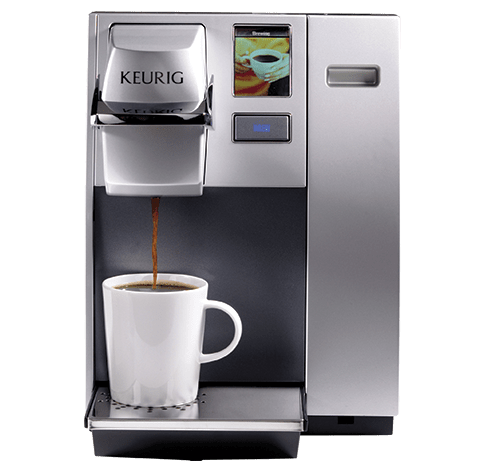 Everyone can have the beverage of their choice with a Keurig single cup brewer. The machines vary in size and product delivery. Some are made to be used with a direct water line, and others have fillable water reservoirs. No one likes their coffee to be served in quite the same way. With a fresh cup pod brewer, everyone can choose their brew strength from mild to bold with a touch of a button. When you choose to go with a single cup pod system, you first want a great cup of coffee. Secondly, you care about our environment and want to utilize 100% compostable products each and every day, cup by cup. Bean to cup brewers make barista-worthy drinks right in your office. Bean-to-cup coffee machines grind the beans as you use them, so you get the freshest tasting coffee in under two minutes. These brewers offer up to thirteen different drinks from hot chocolate to lattes to espresso, making these the most versatile of coffee brewing devices. The hottest thing to hit coffee is Nitro and cold brew. With this equipment, you can turn fresh roasted coffee into refreshing cold brew coffee. 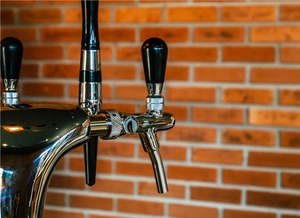 Available with either a single or dual taps, the Nitro resembles a beer tap, but it serves fresh cold brew coffee. Cold brew is particularly tasty when served with flavored creams, these cold brew coffee machines are all the rage and make for some happy employees. 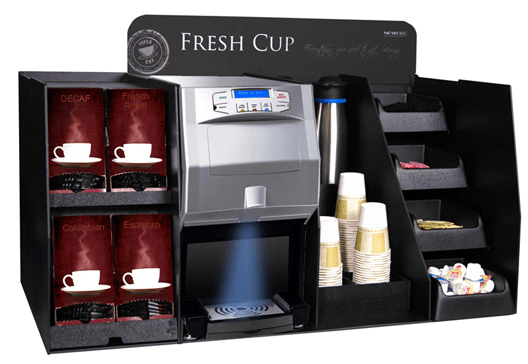 Redcup can bring state-of-the-art coffee brewing to your workplace with a variety of delivery systems. Whether it’s roast and ground, single cup, bean to cup or Nitro cold brew, we have a beverage service to fit every preference. Contact us to schedule a coffee tasting and discuss which type of delivery system would be right for your office.